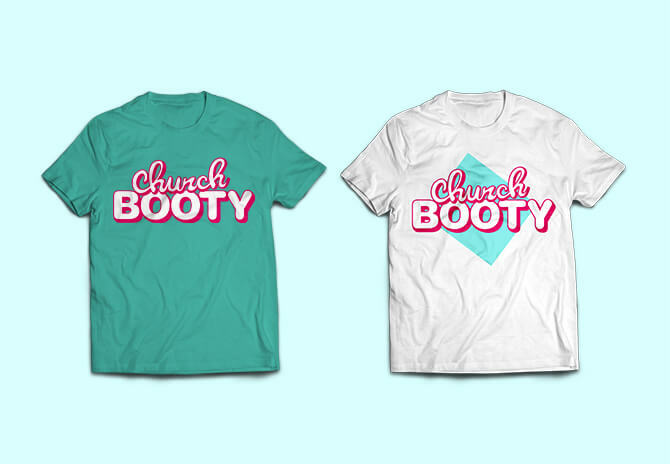 My design for a logo and debut EP from Church Booty, a funk and R&B group from Champaign-Urbana, as well as some t-shirt designs and stickers to accompany its release. 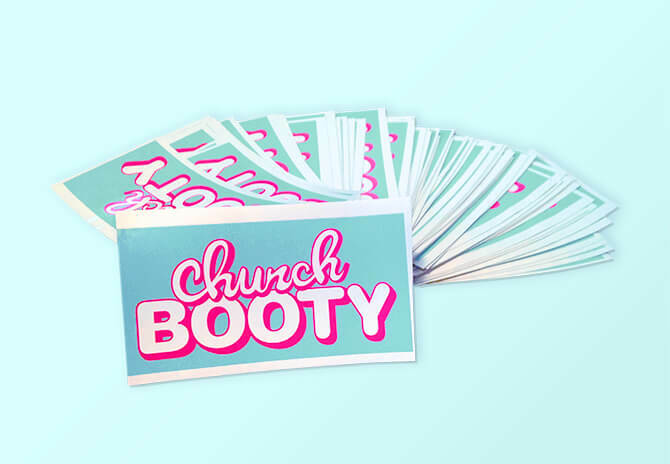 Since the release of this EP, Church Booty has become Fay Ray. Check them out on Bandcamp and Facebook. 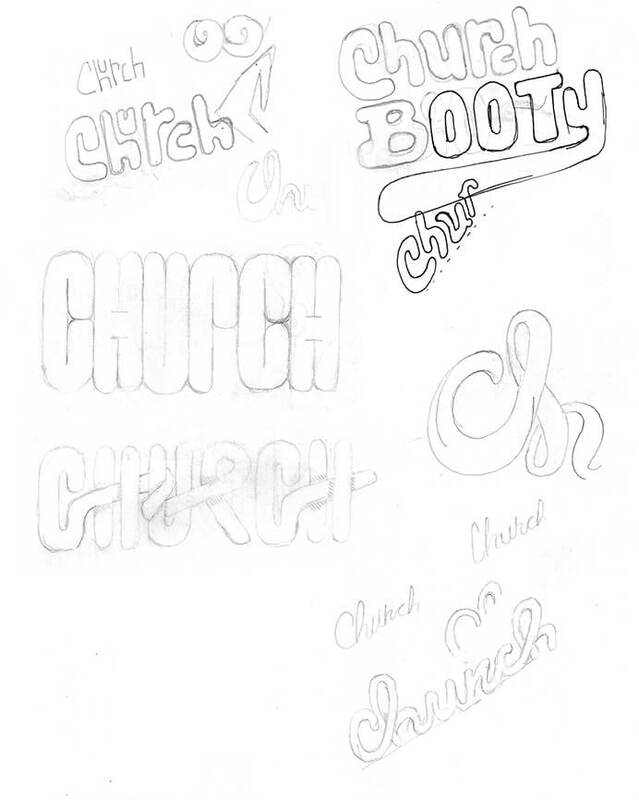 Here are some selections from a sketchbook showing my design process for the Church Booty logo. 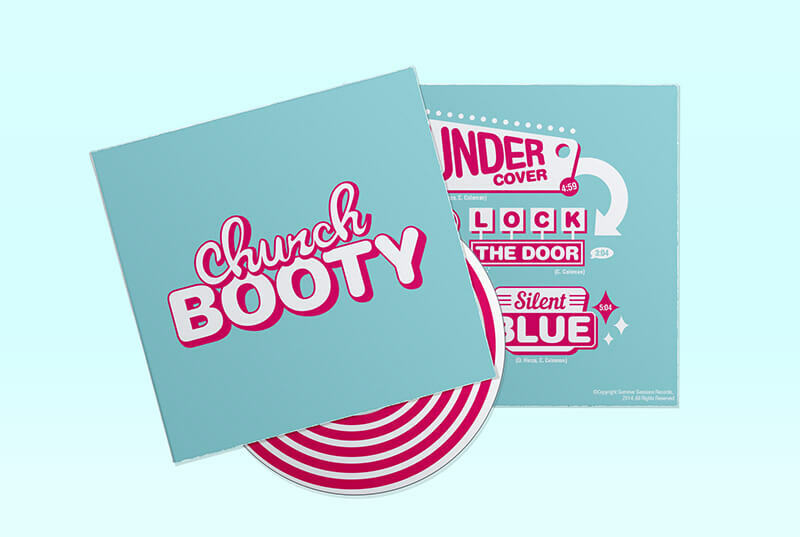 It had to be as playful as the name but as bold as the band's music. Getting closer. 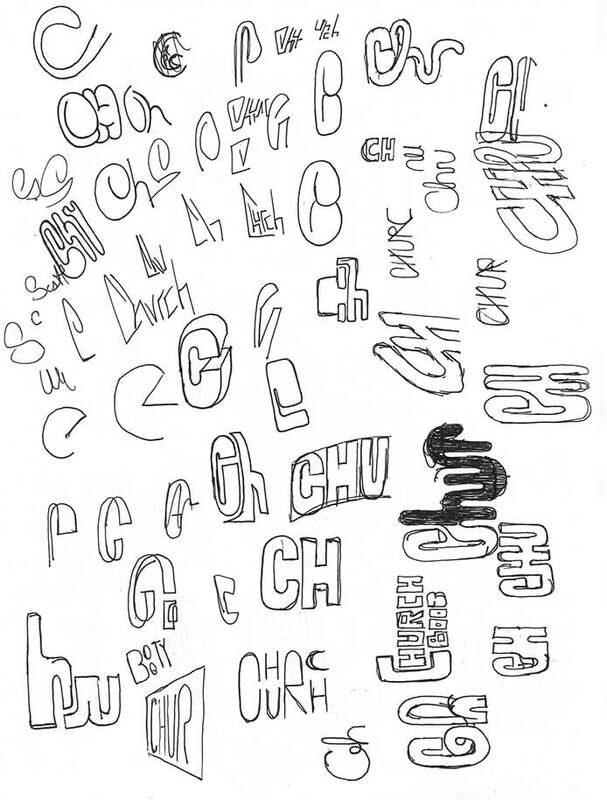 By this point I'd realized hard edges weren't working and that a flowing script might be the way to go. 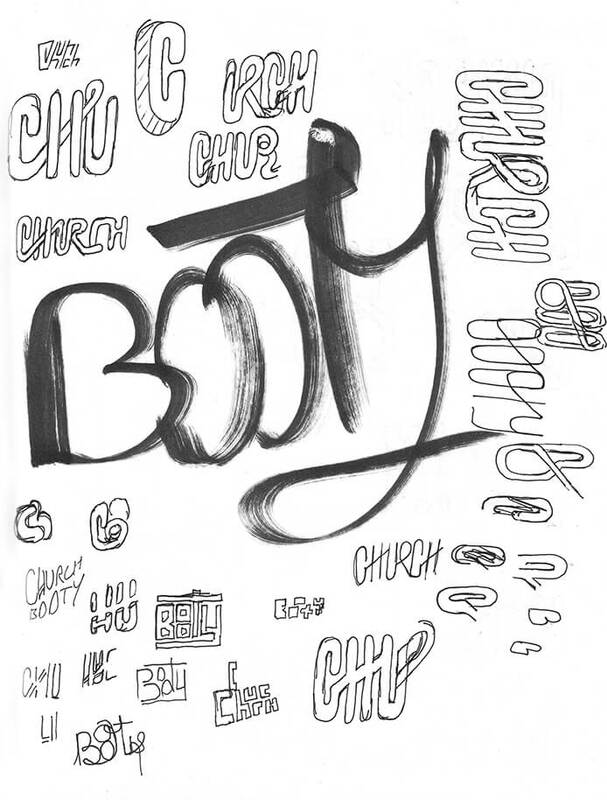 Pages of sketching eventually culminated here. The script at the bottom of the page was scanned into Illustrator for editing, while my bubbled letters led me to use Helvetica Rounded as a sturdy base for the script to sit on.